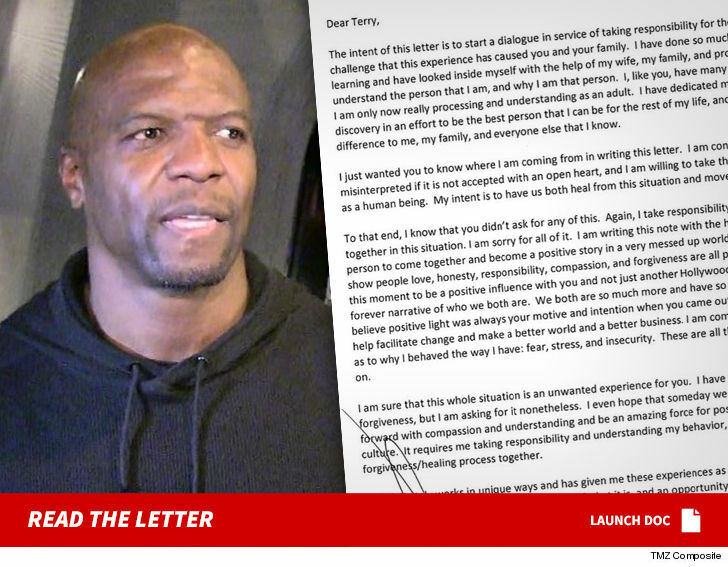 Terry Crews is finally accepting the apology he got from Adam Venit now that the WME agent has officially retired. We broke the story … Terry filed a police report against Venit for sexual assault last November. The criminal case was rejected due to the statute of limitations — but Terry filed a civil lawsuit which just settled. Venit retired when they reached the deal.